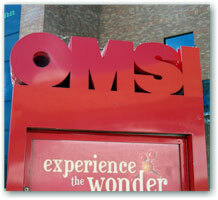 Event Description: Boasting five fascinating exhibition halls, a planetarium, an Imax Theater and even a submarine, Portland’s OMSI is a fantastic, safe place to be a kid, indoors and out of the clouds, enjoying a corporate teambuilding event. Location History: From its humble beginnings as house on NE Hassalo Street in 1949, the OMSI has just grown and grown. By 1958, the museum had moved to Washington Park and in 1992 it moved again, to its current site on Water Street, integrating the old PGE turbine building. Gather in front of the main entrance.